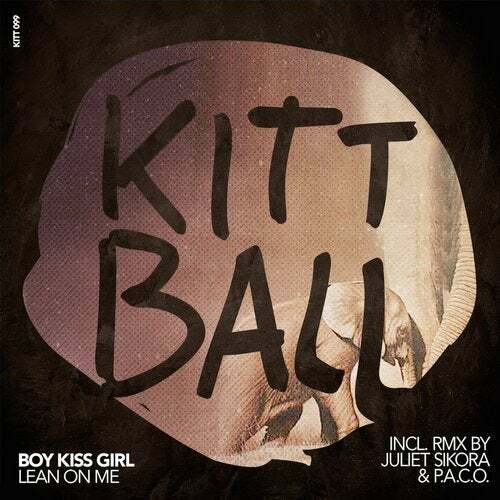 With a constantly presenting philosophy of discovering new talents and raising beautiful sounds of tomorrow, Kittballs curtain is rising again for another debut EP with the lovely project Boy Kiss Girl. Brought to life by a shy behind-the-scenes-genius who has masterminded chart topping singles and albums around the globe, visionary dreams come true with the melodies of Lean On Me. Slow, tropical and surrounding diverse cultural influences, this release has been inspired by unique and happy sounds from everywhere and anywhere. Our Kittball matadors Juliet Sikora and P.A.C.O. deliver an outstanding result full of contrasts in relation to the original title on a cooperative remix work. Lean back and simply enjoy!